If the Samsung Focus Flash had you even remotely excited, then the Focus S is sure to leave you thrilled. With almost all the same specs as baby brother, the Focus S brings a slightly larger screen and more powerful camera to an already snappy little phone. 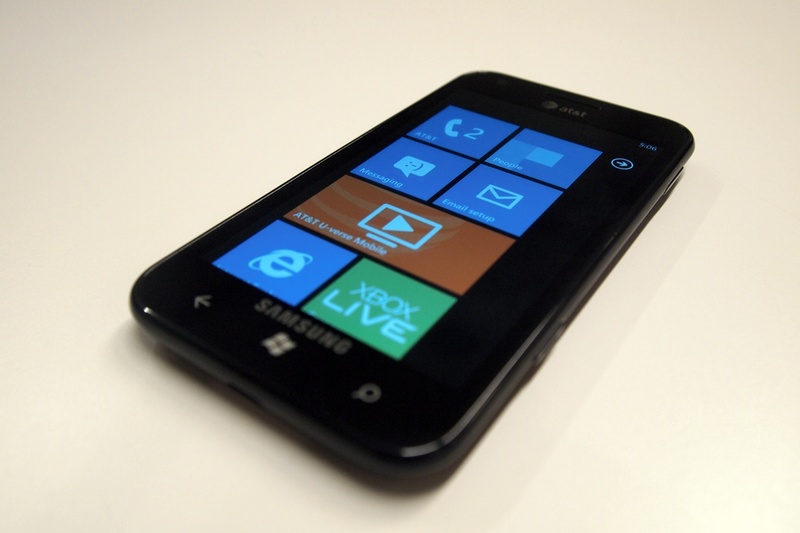 The Samsung Focus S runs Windows Phone 7.5 Mango, and the platform’s black background really pops thanks to that Super AMOLED Plus display. Even better, Super AMOLED Plus screens are basically off on any part of the display showing black. Since Windows Phone defaults to an all-black background, I’d presume you’d get a little extra battery life out of the Focus S (at least compared with phones with similar large screens). While we’re on the subject, the Focus S 480×800 Super AMOLED Plus display measures in at 4.3 inches diagonally, resembling the newly announced HTC Rezound in size. 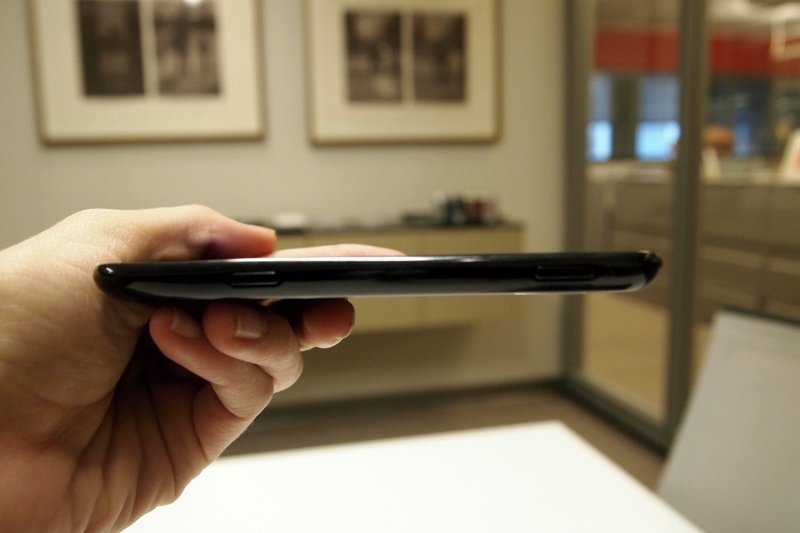 However, the Focus S is much, much thinner than the Rezound, with an 8.55mm waist line. 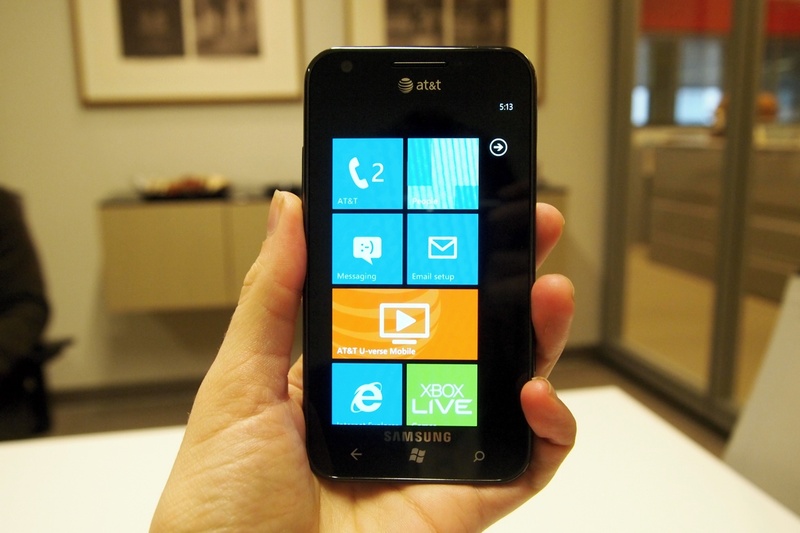 The Focus S is said to be America’s first “4G” Windows phone, yet won’t run on AT&T’s 4G LTE network. 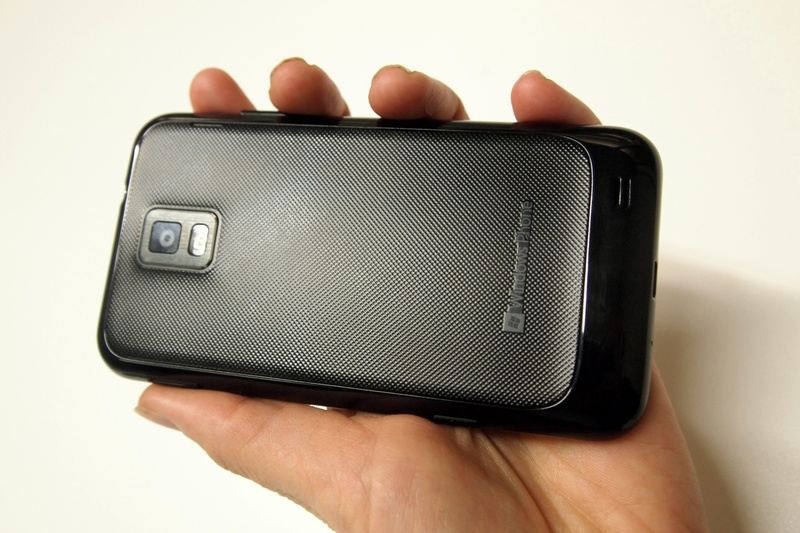 Instead, it’ll see 4G-capable speeds on AT&T’s HSPA+ network. It sports a nice textured back panel, which I actually wish had translated over to the Focus Flash (that little guy is slippery!). The Focus S is also incredibly light, but is just a tad too large to fit as comfortably in the pocket as baby brother Focus Flash does. Windows Phone Mango runs like a dream with the help of that 1.4GHz processor, and as I mentioned with the Focus Flash, Mango’s IE9 browser is a total power house. We also played around a bit with the 8-megapixel rear camera and found that picture quality seemed pretty great, especially when viewing on that Super AMOLED Plus display. Mango also has a pretty cool camera app, with a familiar “swipe to photo library” feature we’re seeing on iOS 5. In fact, Microsoft has the patent on that feature. Do I smell another patent war brewing? In any case, the Focus S is certainly worth consideration thus far, but we’ll need to hit you with a proper review before we can be sure. The Focus S is available at AT&T on Sunday, November 6 with an on-contract price tag of $199.99.